I’m revealing two secrets…one word – granola and trying to hide Baxter’s affair. If you have experienced the effect of granola, I will not have to explain. If you haven’t experienced the effect of granola, I encourage you to buy a bag of it and eat a lot of it! Then you can pass on the knowledge so to speak. After lunch with Brenda yesterday and a couple hours of shopping At Home and Hobby Lobby for chalk paint, I was parched. I stopped at the highway 7 gas station for an ice tea before my 6 minute drive home. I was parched, dammit. and I wanted a snack. I walked around for quite awhile…in fact, long enough that if I hadn’t stopped, I would have been home…anyway…I was looking at calorie count, labels and ingredients…seriously…did you know there is really nothing in a gas station convenience store that we should eat. I finally chose a 9 x 9 x 2 plastic box full of Kimberley’s Bakeshop granola mix. OMG is all I will say! This is Baxter, Minnie and Truman. Baxter is my cat…so this causes me a lot of confusion. Does he need therapy or have I just not been firm enough with his apparent affection for my sweatshirts and blankets? I hide the davenport blanket when I go to bed and it is on the floor in the morning. 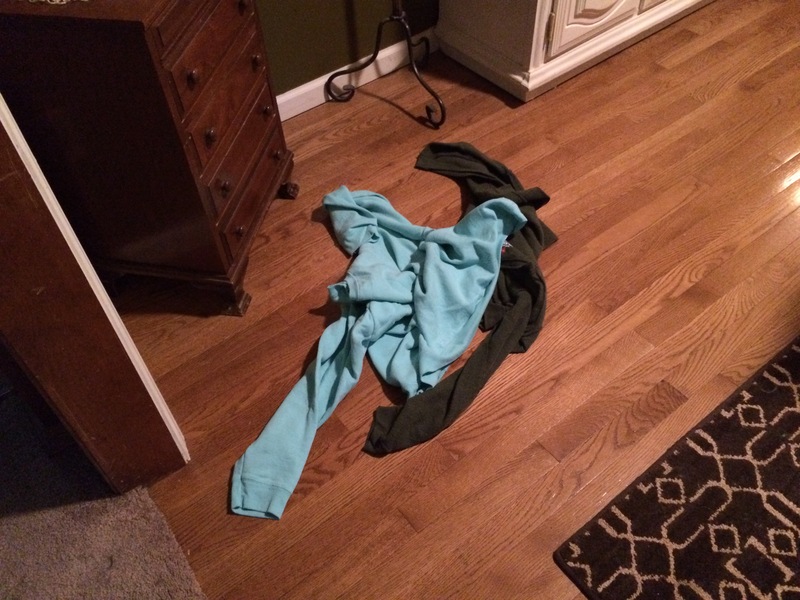 He will find my sweatshirt in the bedroom and somehow drag it to the living room. This morning, I woke up to this in the dining room. Just a glimpse into my Wednesday. 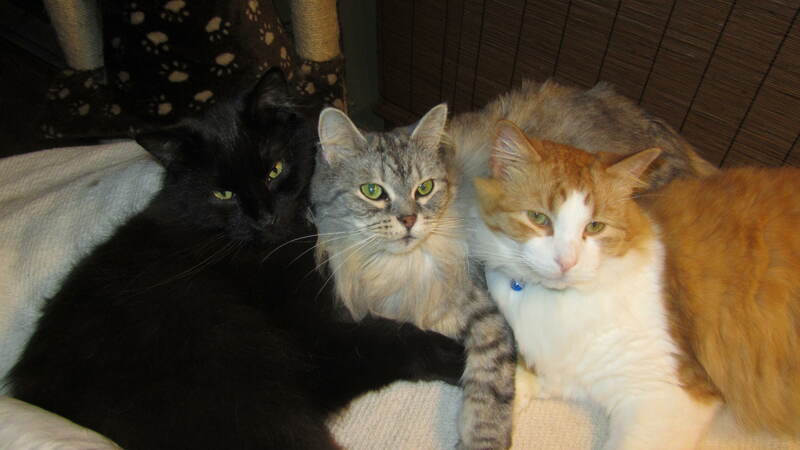 This entry was posted in Uncategorized and tagged cats, granola, therapy. Bookmark the permalink. ← It’s apparently just the red neck thing to do…. Apparently. I’m at a loss…do I need therapy or do I spend the money on cat therapy? That cat is quite a character. My Leia has never done anything like that at all. Do you find it funny or irritating? I used to find it irritating because he was pulling threads thru on the blanket but now I’m just astounded. 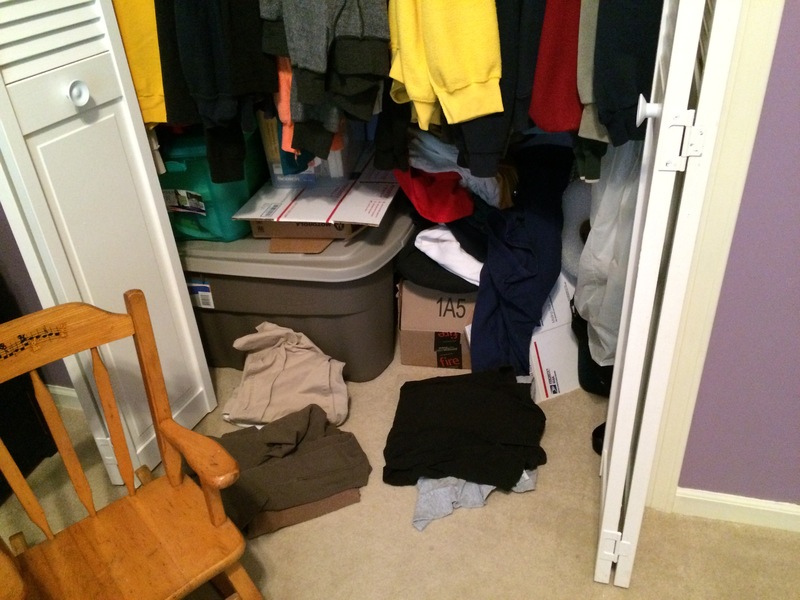 two sweatshirts – out of a closet and dragged clear across the house and left in the same place. It kind of scares me in middle of the night – my eyes are closed – I’m asleep kind of way! The power of cats is far greater than our capacity to understand.